Today, I have a pleasure to present you a very good language school located in Lyon. I am so happy to do it as I believe that if you want to learn French or improve this beautiful yet so difficult language, you should do it in France. 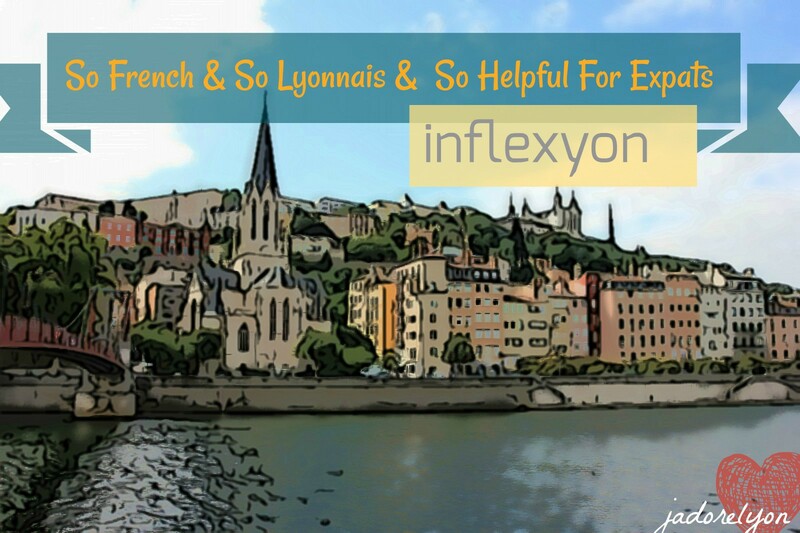 And if I can recommend the best place in France to learn French, its is obviously Lyon and here you have Inflexyon. See for more below! We are a French Intercultural centre. We offer several activities : French foreign language courses, foreign language courses (English, German, Spanish, Italian, Portuguese, Japanese, Korean and Chinese) and language exams (DELF, DALF, TCF, TEF, DCL and Ev@lang). The school was founded in April 2006 by Duquesne family. We wanted to create an intercultural centre where everybody could enjoy quality language courses and meet other learners from all around the world in order to share their passion for languages. Our team is friendly 🙂 and international. We speak several languages, we travelled the world and we can perfectly understand the difficulties people may have while learning foreign languages. Some of us are also expatriates in France and therefore, we can easily help other expatriates in Lyon. Our teachers are qualified language teachers keen on sharing the secrets of their mother tongue and culture with the students. Our main activity is teaching French as a foreign language. We have French foreign language courses every day ( Monday till Friday) between 10am and 3pm for each level (A1 to C1). We can also organize private lessons between 8.15am and 9pm. And we have some French evening courses (7pm – 8.30pm) as well. We are very flexible, you can join our courses every Monday (except for the very beginners, they can start every 4 weeks) and you can start learning from only 1 day per week. Mainly in the evening (5.30pm – 8.30pm) and on Saturday morning (10am – 12.30pm) we offer other foreign language courses (Spanish, German, Chinese, etc) in small groups. We regularly organize culture activities (carnival, pancake “goûter”, museum visits, Easter eggs hunting, summer party, etc) where all the students can meet, make new international friends, chat in all possible languages and have fun. But our students can also freely hang out in our school in between their lessons, enjoy free wifi and library and chat with our students since we are open from 8.30am till 9pm. For food lovers, we organise cooking workshops on different topics (Japanese food, Korean food, etc). This event is a popular birthday gift, for instance, and appreciated by groups of friends or by families. In addition, we have all sorts of French exams and certifications : DELF, DALF, TCF, TEF and Ev@lang. These exams enable non-native French speakers to enroll in a French university, to claim French nationality, to apply for a Canadian visa or just to prove their French language proficiency to their future employer. We also have DCL exams for German, English, Chinese, Spanish, French, Italian, Portuguese and Russian languages. Our courses are eligible for Pole Emploi and CPF funding. And I shouldn’t forget that we have online lessons as well, so called “E-learning”. Where we can find you? We are between Perrache and Confluence, next to Sainte Blandine tramway stop, at the address: 48 rue Quivogne, 69002, Lyon. Our website for French courses is www.inflexyon.com, for other foreign language courses www.lyon-langues.com and for exams examens.inflexyon.fr . Whether you want to learn French,to test your knowledge of foreign languages with one of our tests or to learn another foreign language, do not hesitate to stop at our school Lyon Langues by Inflexyon. Pingback: Lyon in JUNE. For All The Top Things to Do & Events to Take Part In!